Of the dentists responding to this survey, 61% responded yes, their dental practice markets itself through the Yellow Pages. The remaining 39% reported that their practices do not do any telephone book marketing. A dentist’s geographic location was highly correlated with their yellow pages advertising. Rural dental practices are far more likely than urban ones to spend money on phone book advertising. 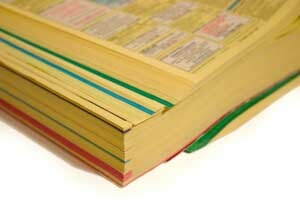 In fact, 3 out 4 rural dentists reported taking out yellow pages ads, whereas less that 1 out of 2 urban dentists did. Read more dentist comments or leave your own below! Plus, check out the complete yellow pages marketing survey results.